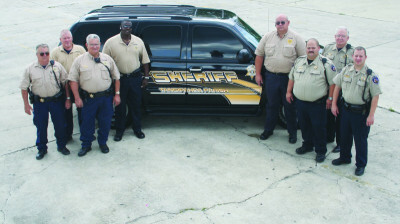 The Tangipahoa Parish Reserve Deputies are volunteers who complete the mandated training at the Reserve Academy. Following successful completion of the Reserve Academy, the Reserve Deputies are allowed to carry a weapon and make arrests. Reserve deputies are used to supplement full-time deputies and are subject to the same rules and regulations as full-time employees of the Tangipahoa Parish Sheriff¹s Office. 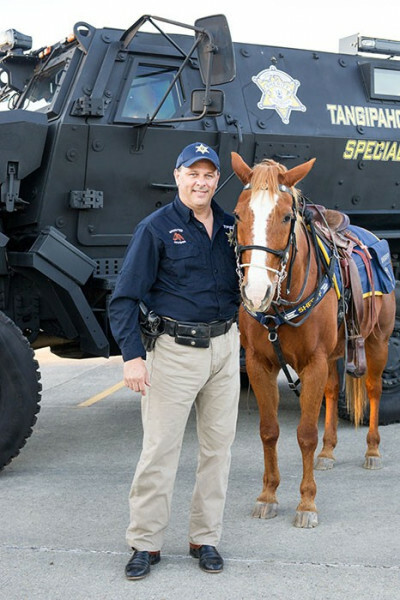 The Tangipahoa Parish Sheriff’s Office Mounted Division began in 2006 under the leadership and direction of Sheriff Daniel Edwards. Sheriff Edwards along with Jill Hutcheson, the Mounted Divisions’ leader, worked together on a strategy to make the horses that were owned by TPSO team members, beneficial for our community. This division of the Sheriff’s Office is made up of deputies, police officers, retired police officers and local business owners. There are currently 22 members in the TPSO’s Mounted Division. These members and their horses attend monthly trainings at the Florida Parishes Arena. The trainings consist of proper measures of crowd control and arrest procedures by horseback. The horses are exposed to gunfire, fireworks, smoke, fire, flashing lights and sirens during these trainings. “It is very important that these horse are exposed to these conditions and are not afraid of anything,’ Hutcheson states. The horses and riders of the TPSO Mounted Division are certified each year to maintain an active status in this division.